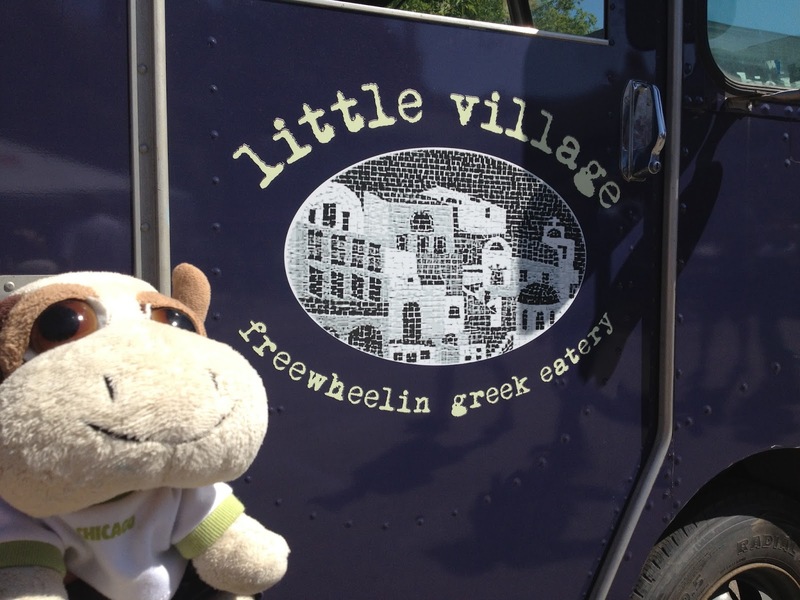 We were spending the day at the Fringe and needed something to eat, so we decided to give Little Village a whirl. We started with the grilled pita with hummus, which was a bit pricy for our liking at $5 as there was not much pita for the amount of hummus you got. 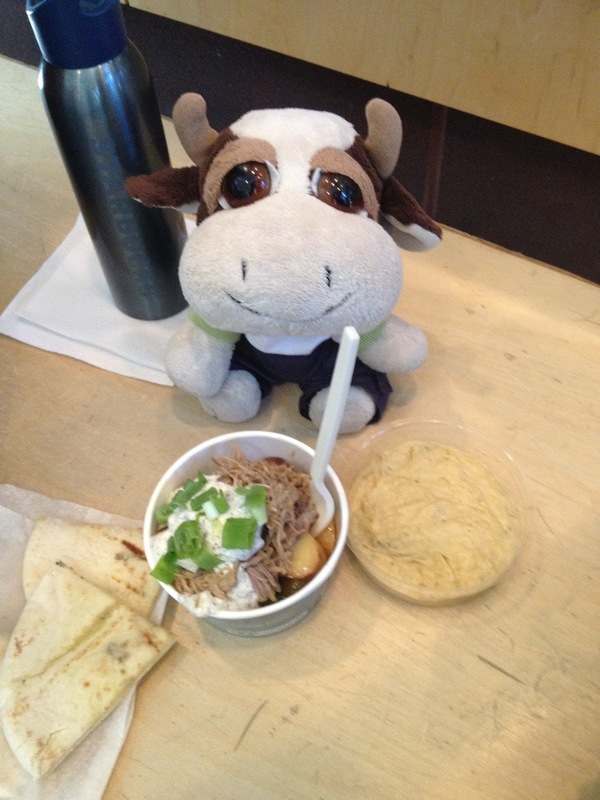 Although the pita was fresh off the grill, the hummus tasted bland and could have benefited from more seasoning. The lamb and potatoes for $8 consisted of a cup of potatoes topped with lamb. The potatoes were marinated in lemon juice and olive oil, giving it a bright, refreshing taste, accompanied with a nice and dilly tzatziki sauce. The shredded lamb on top was moist and tender, but lacking in the flavour department. Although I could've eaten more of the potatoes, which were the highlight of our meal, the lamb added little to the dish. Although I know lamb isn't cheap, considering the bulk of our meal considered of potatoes, hummus (made of chickpeas) and pita bread, it felt like very little food for the $13 price tag. Considering many other Edmonton food trucks in town can fill you up for less money, or offer you enough food for two meals for the same price, I guess I was expecting similar fabulous food at great value. I would recommend that Little Village please re-visit their food's flavor profiles, kick up the seasoning in their hummus, and re-evaluate their prices. With an increasing number of food trucks hitting Edmonton's streets, the choices are abundant for diners. In order for Little Village to stay competitive I think some minor changes are in order. I would give them another chance, I would just hope that next time the prices and portions are more on par with other food trucks in Edmonton.